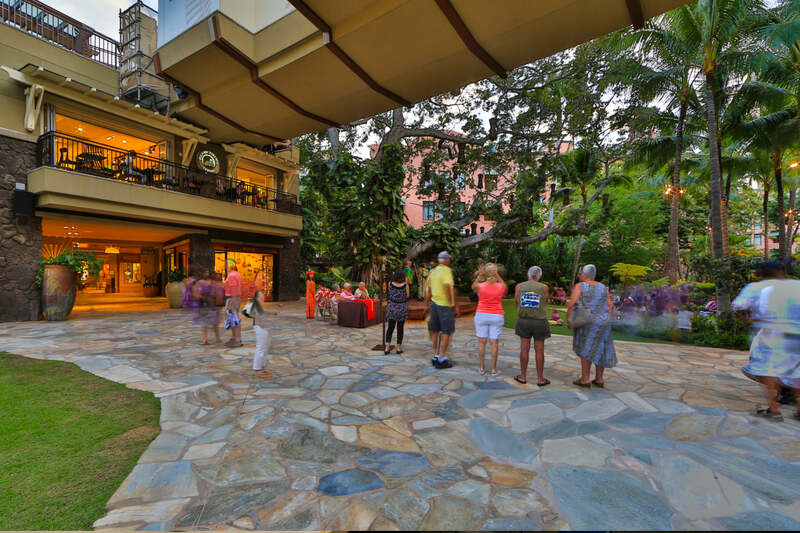 An urban oasis for locals and visitors alike. 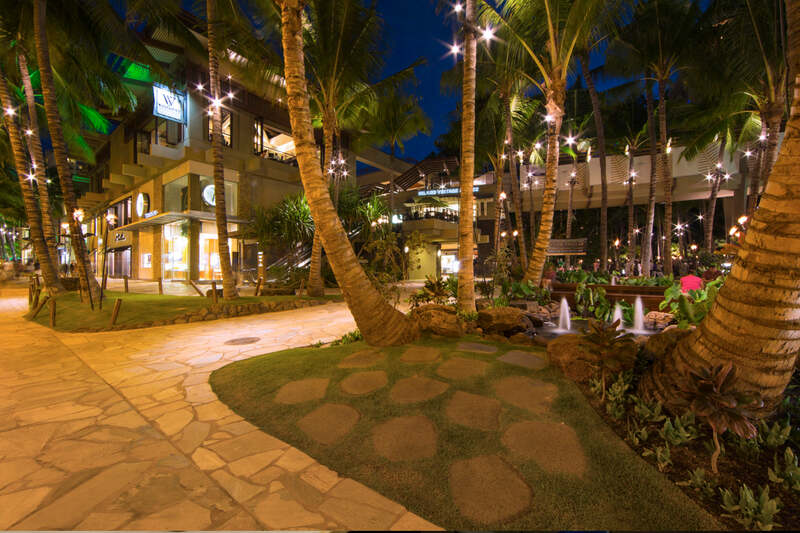 Inspired by Waikiki’s historical Helumoa coconut grove, the Royal Grove is located within the Royal Hawaiian Shopping Center. AHL was given the task to enrich the atmosphere of the retail complex by drawing tourists and residents to the beautiful outdoor gathering space. AHL improved the pedestrian flow by reconfiguring sidewalks and adding seating areas along with native landscaping. 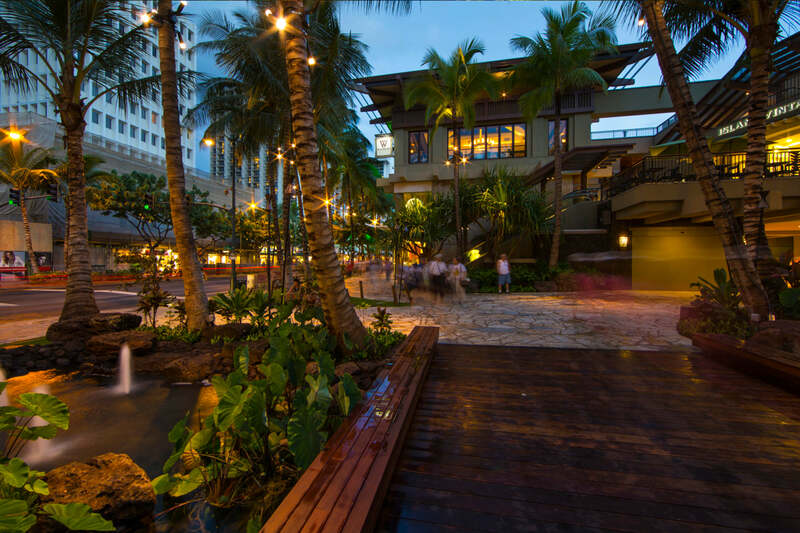 Representing the artesian springs that nurture the ‘aina (land), elegant water elements and a pedestrian bridge emulate a natural setting along the busy Kalakaua Avenue. 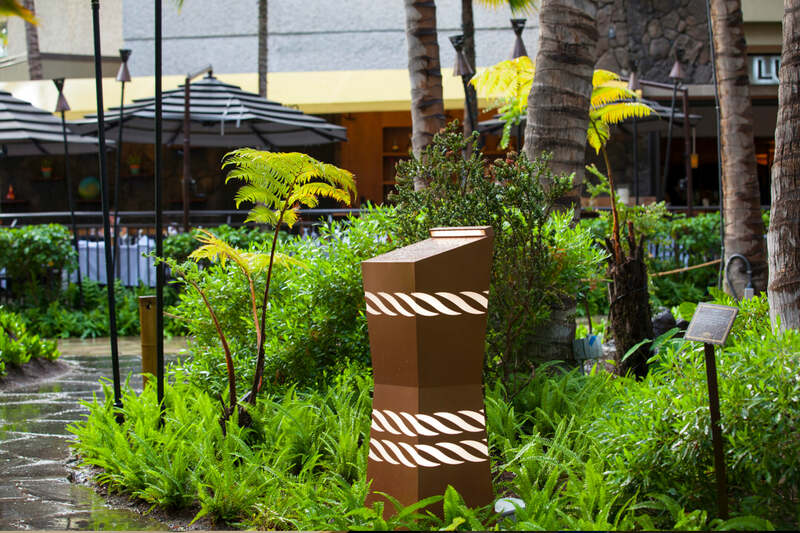 An ipe wood stage for performances is featured with storytelling bollards that educate visitors on the local culture.